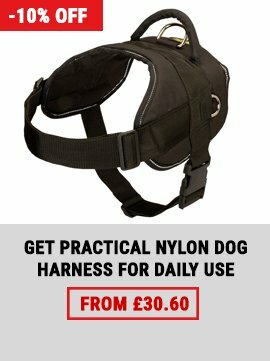 If the dog shows aggression you may easily solve this problem. Be sure, if you're ready to invest your time and effort, you can reconcile your dog with every living being. How to Make Friends Between a Dog and a Cat or a Puppy and a Kitten? You've taken a puppy into your home and worrying how a little kitten or an adult cat would respond to it. Maybe you want to know how to make friends between a kitten and a dog, which has been living at your home for a long time. It's quite easy. 1. Animals are got used to one another by themselves as usual. No one will show its aggression after several days of being together in one house. 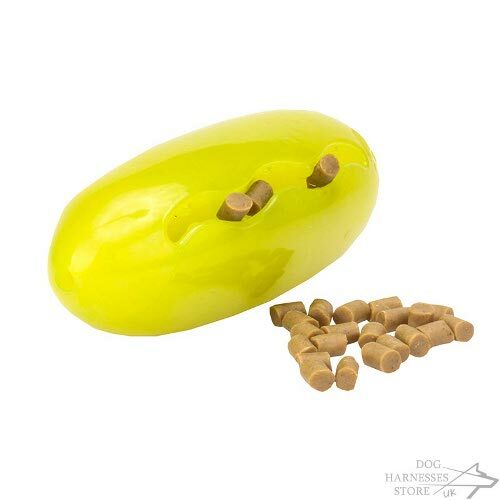 However, if you have a little puppy, it can turn your cat's life into hell with its playfulness, that's why you'll need to distract you dog's attention with games. The dog will leave the cat with time. If the puppy is getting at the cat much, use dog command "No". Anyway, the cat will move along the house without touching the floor, where frisky fluffy beast is running. By the way, be sure to walk your dog and to crock up it physically before it got acquainted with the cat. The dog will be more peaceful. 2. Puppy's and dog's aggression towards the cat should be punished. It's a must to punish the dog strictly at the moment when it rushes towards the cat. You give the command "No" during aggression and give a slap with your palm in the area of its croup. These actions are for serious aggression. 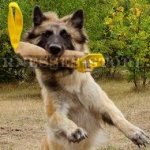 If you consider your dog to be a serious danger for the cat, it's better not to get the cat or pay all your attention on dog behavior training. 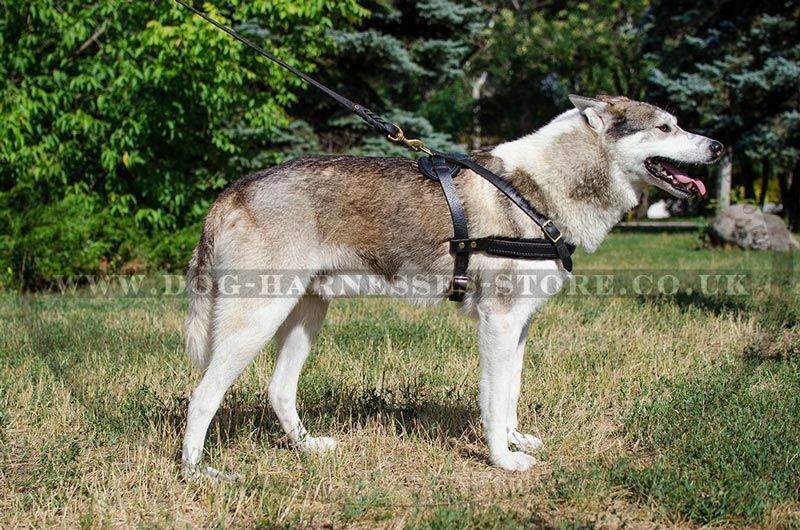 Alternatively, consult with a dog trainer, which can help you to control the process of two animals meeting. As you see, this variant is the most convenient. 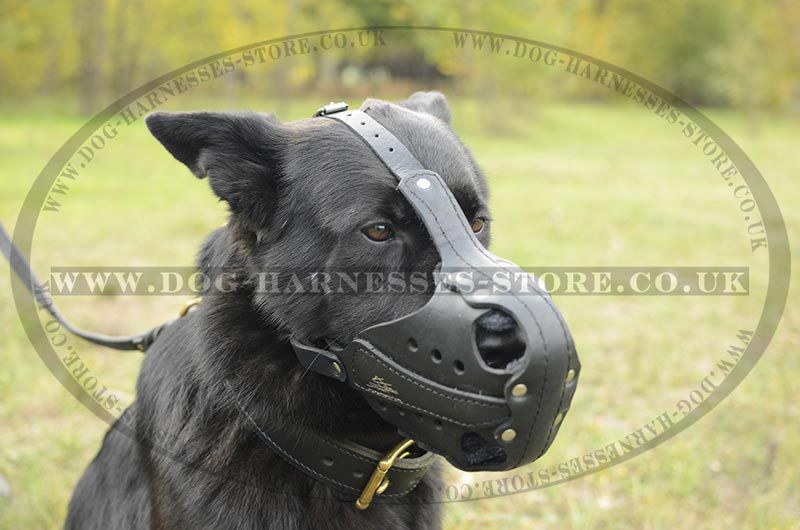 Anyway, you should do the next: put the collar on your dog, fasten a dog leash and muzzle the dog for sure. Now you can acquaint your animals for the first time. If the dog tries to attack the cat, say "No" and jerk the leash. 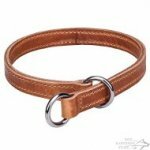 Then make your dog seat nearby with a command "Sit" and let the cat be no far from you both. Make your dog to seat near your leg. Don't allow the dog to leave you. Does the dog attack again? Make much stricter jerk saying "No" before and then make the dog sit again. 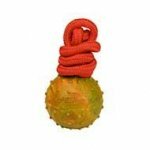 If nothing is working out, you would better to train your dog running commands with the help of physical stimulus. Nothing will go right without it. The first moment of acquaintance should be under your control. When the dog calms down, loose the leash and let it come up to the cat and sniff it. You have to make your dog not to be aggressive towards the cat. Let the dog be muzzled until it calms down and then the muzzle can be taken off. You should always control communication of your animals until you're absolutely sure they agree well. Even the angriest dog can hit it off with the cat if the owner shows it how to behave right. 3. Chasing of a cat or a dog. Sometimes your puppy or dog, f.e. being at a walk, start running at breakneck speed after a cat passing by. The dog can run after another dog or animal, but the worse is the dog can run over by a car or get lost. 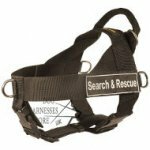 Your dog must learn and run the command "Come" perfectly to avoid chases of animals. Your calling should always be the cause for the dog's joy. That's why, when the dog is well-trained to run this command, this means, it will run to its owner in 100% cases. You can stop the dog chasing of the animal using the command "No" and then with "Come". "No" (break for 2-3 seconds), then "Come". Anyway, the dog should know the command "No" ideally. You have to stop your dog's undesirable behavior with one "No" command. 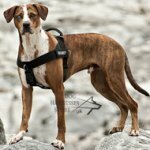 How to Make Friends Between Two Dogs? Sometimes it's better to refer to experienced cynologist for help, but it's not difficult to fill one dog in a pack. The principle is similar to that we have described above. But remember, dog behavior training is a very important process and there will be a chaos in your family without it. 1. It's better to acquaint two dogs after a good walk of them both. Let the dogs get acquainted on safe ground (f.e. walking place), walk for a while by all means so that the dogs could get to know each other and go home only after this. 2. 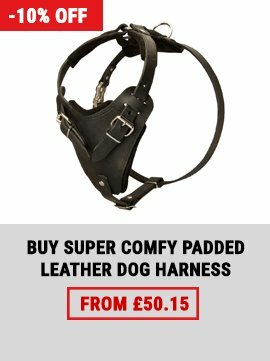 If any of dogs shows aggression, use a punishment. Of course, the dogs should have it out with each other without your help first. Leave them go and watch them not to show direct aggression (fight). Thus, the dogs should clear up the hierarchy by themselves. 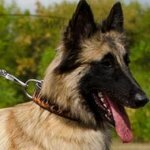 Is one of the dogs is too aggressive? 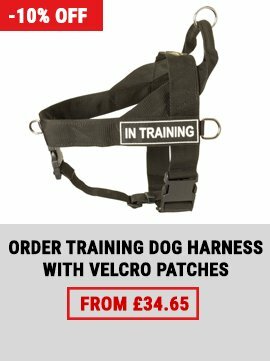 Once again, you have to train your dogs seriously so that you could control them. But it's better to put the muzzle on the aggressor on meeting. 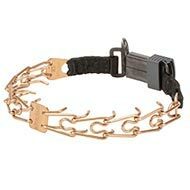 Punish for ceratin aggression (attack), but don't punish the dog when it shows its ivories. Your task is to control and to avoid fights. When the dogs has already walked and smelled about, they are quite calm. You can take the muzzle off the aggressor and watch its response. 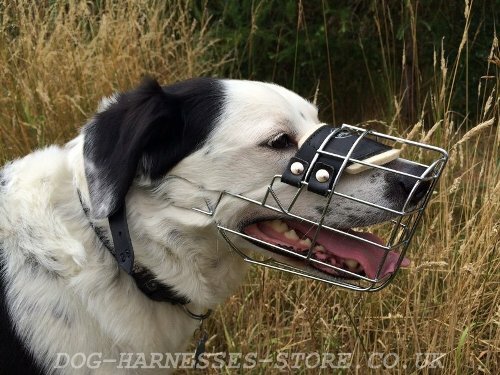 Perhaps, you'll have to muzzle your dog even at home for a while to prevent attacks. But the more the dogs spend their time together, the quicker they'll get used to each other. Curb an aggression, because it's you who decide how you dogs will live - in peace or in war. Keep your dogs at a distance when feed them and prevent eating out of each others' plates. Collective walks are very useful for contact strengthening. Dogs would pay no attention to each other having a good walk together. 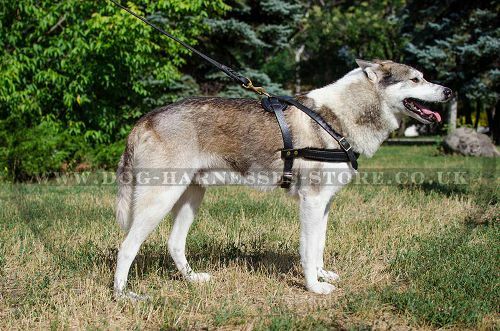 Train your dogs to walk alongside by you to avoid problems with pulling during walks. Important. 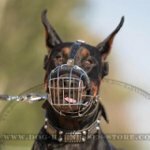 You should allow your dog to communicate with other dogs as much as possible to make it respond adequately to other dogs. 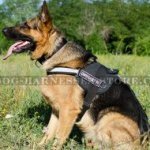 Find friends among other dog handlers, but first teach your dog to obey. You can put a muzzle on your dog and go for a walk. Give a command "Heel" to your dog and make it go alongside of you. 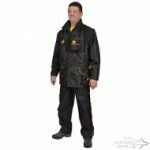 Stop from time to time (every 2 minutes) and stand still for 7-10 seconds. Get close to yards where other dogs live during 10-20 minutes a day. 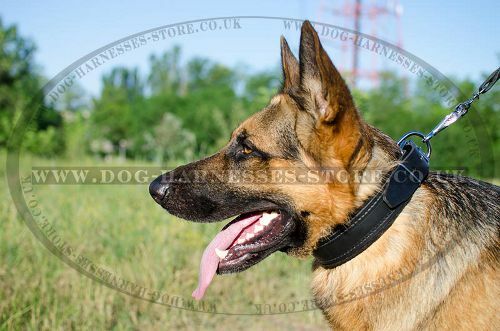 In 3-4 days you'll have total control under your dog, which doesn't pay attention to other dogs any more. The most important is to train your dog to walk alongside by you. 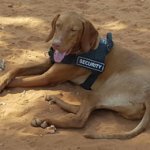 How to Stop Dog's Aggression Towards People? 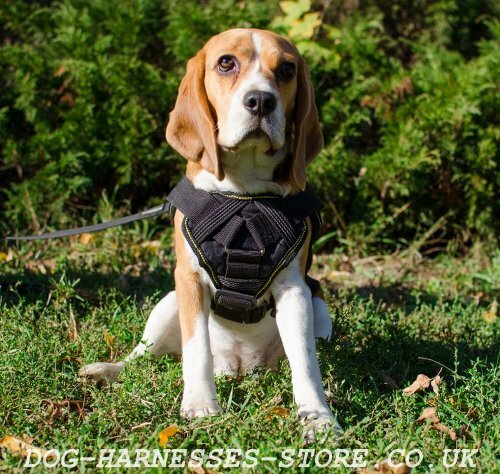 If your dog shows aggression towards passers-by, your friends and even family members, this means you train your dog not enough. 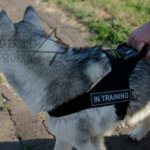 Take up your dog behavior training immediately! You have to solve the matter of the problem and not its symptoms, otherwise you'll train your dog during the whole life and get minimum result. 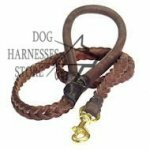 When the dog shows aggression towards passer-by being on the leash, say "No" immediately at the moment of its rush and make a strong jerk with the leash. 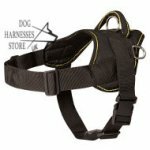 It's necessary to use the dog muzzle while you train your dog and keep watch over running the command "Heel" by the dog. Remember, the dog will be still aggressive and rush on people if you aren't strict enough. The more strict your jerk is the quicker your dog understands that it's forbidden to attack people for no reason. 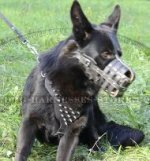 When you will train your dog to run the command "Heel" and get total control over the dog, put the dog muzzle on and go for a walk in public places. The dog will get used to people with time. Remember that any flurry of aggression should be punished by a strict jerk. Pinch collar will help to control large and aggressive dogs. 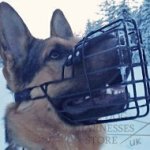 You can walk your dog without the muzzle as soon as it shows no aggression to people and other animals. 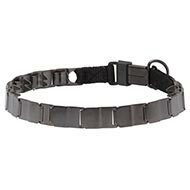 The mosr effective and safe dog behavior training collars, click on the pictures! 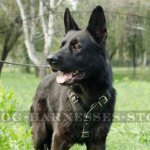 Learn also how to train your dog to run "No" command.